Demi died her brown locks to black before filming her new music video for "Lo Que Soy," the Spanish version of "This Is Me." She also got a new "choppy" haircut. 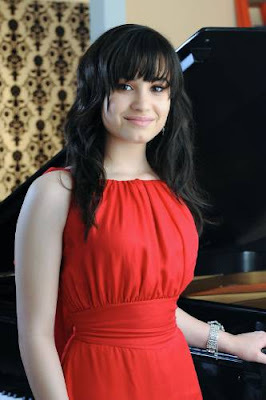 On set, Demi wore a long red dress and darker makeup. Do you like the new look? Leave a comment in our "shoutbox" and let us know!